The service became the only broadcaster in Ukraine, including TV channels, who got the rights to air three major European championships. Bundesliga will be presented in all its glory. MEGOGO will show all 10 matches of each round, allowing Ukrainian football fans to watch all the games of Borussia Dortmund, FC Bayern München, RB Leipzig and other famous German clubs. The broadcast of the major French Football League covers 5 matches of each round. MEGOGO’s subscribers will cheer up for such grandees as PSG, Monaco, Lyon and other teams with great ambitions. Matches of Serie A are always a pleasure to watch. 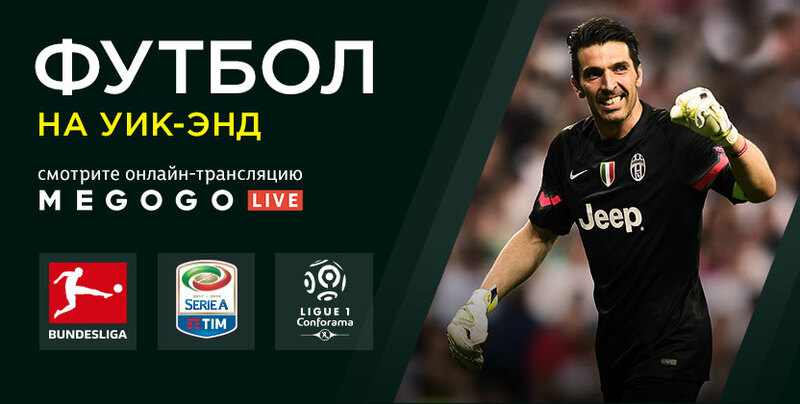 Ukrainian football fans will be thrilled by the top-class game by Roma, Juventus, Milan, Inter, Napoli and other best Italian clubs. Broadcasts of European football championships are presented in the LIVE section of the service and available to users of “Optimal” and “Maximal” Movies and TV subscriptions. It should be noted that earlier MEGOGO LIVE brought to its viewers cybersport events, dancing shows, festivals, concerts and vlogs, with top football broadcasts now added to the content mix.